Meditating on the word of god is an important part of our devotion to Christ;. Christians and Meditating on the Word of God? Meditation in the Bible is usually indicative of a person considering something about God and quietly focusing his mind on that truth. Perhaps the reason Christians have neglected meditation is because of the recent secularization of meditation among New Agers and other versions of eastern meditation. Meditation is an important biblical concept preceding by centuries the eastern religions such as Buddhism and Hinduism. Meditation is focused thinking about a portion of God’s Word in order to hear God’s voice and to apply God’s truth to my life. Meditation involves our heart and our spirit. Meditation on the word of God allows its transforming power to renew our hearts and minds. Perhaps one of the most neglected disciplines in the Christian life is that of meditation. The word of God plays a central role in meditation because it is the place where our knowledge of God originates. 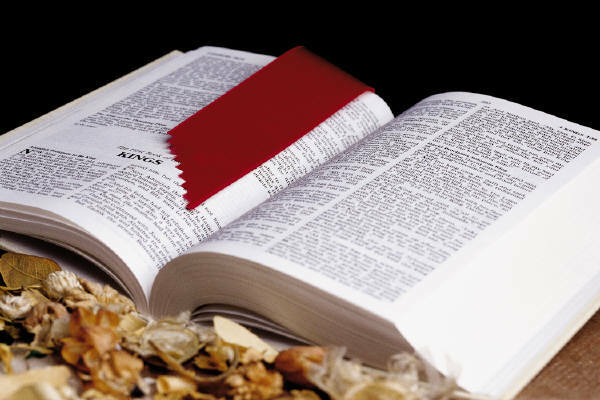 We must therefore determine to know the word of God so that we have the material we need for meditation on. Memorized scripture plays an important role in the art of meditation. Not all types of meditation are Christian. The goal of secular meditation is to empty the mind, the goal of godly meditation is to fill the mind with God’s truth. To put it in a succinct definition, godly meditation is the practice of filling the mind with God’s word for the purpose of applying God’s word. Effective meditation usually happens in the stillness. We know what prayer is and we know what worship is, but what really is meditation. Christian meditation is when we quietly reflect on the things of God. It is not like eastern meditation, since we are always cognizant of our thoughts and we never enter into a trance-like state. The focus of Christian meditation is always on God, something about God, or on God’s care for us. So let us be willing to spend time alone in meditation. Thinking about God’s word is an important part of our time of meditation. As you learn to spend time in meditation, you too will begin to see God’s guidance in your life. As you learn to spend time every week in meditation, you will discover that troubles don’t seem quite as big, that despair no longer feels overwhelming, and anxiety fades into the background. (Ps 19:14)Do not let this Book of the Law depart from your mouth; meditate on it day and night, so that you may be careful to do everything written in it. (Jos 1:8)Within your temple, O God, we meditate on your unfailing love. (Ps 48:9)I will meditate on all your works and consider all your mighty deeds. (Ps 77:12)I meditate on your precepts and consider your ways. (Ps 119:15)Though rulers sit together and slander me, your servant will meditate on your decrees. (Ps 119:23)Let me understand the teaching of your precepts; then I will meditate on your wonders. (Ps 119:27)I lift up my hands to your commands, which I love, and I meditate on your decrees. (Ps 119:48)May the arrogant be put to shame for wronging me without cause; but I will meditate on your precepts. (Ps 119:97)I have more insight than all my teachers, for I meditate on your statutes. (Ps 119:99)My eyes stay open through the watches of the night, that I may meditate on your promises. (Ps 119:148)I remember the days of long ago; I meditate on all your works and consider what your hands have done. (Ps 143:5)They will speak of the glorious splendor of your majesty, and I will meditate on your wonderful works. But his delight is in the law of the LORD, and on his law he meditates day and night. The first step to increase your faith as a believer is to learn how to meditate on God’s Word day and night. Meditating is the way to relaxation, health, freedom, creativity, contentment, silence. We must spend time in (with) God’s word and give the Holy Spirit the opportunity to teach us, to reveal the unseen realm to us, to help those things become as real to us as material, seen things. Renewing your mind until it is dominated by God’s word, building your spirit until it dominates your soul and body, will not happen automatically, nor will it happen over night. But, it will happen if you take the time and make the effort to meditate on God’s word. Psalm 77 gives us good instruction on how to meditate on God. Let God’s Word fill your memory, rule your heart, and guide your feet.